Our socks are made from the yarn that we spin here at the mill with your fiber. The socks are lightweight socks, but quite warm. We add a little nylon, about 10%, to the yarn to increase the longevity of the socks. 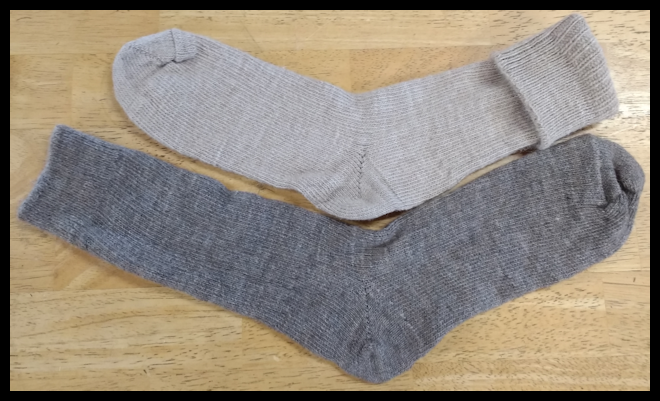 There is only one style of sock as pictured above. Each size/length requires at least 2lbs of finished yarn. Cost is $8 per pair with about 6 pairs per lb. 12 pairs is the minimum order per size/length.